To start with, you can use expanded polystyrene pieces as crocks in almost any plant pot. In order to do this, you will need to create chunks of this foam. They have proven to be especially useful for large tubs loaded with plants with shallow roots. So, you can use the lightweight, soft foam to fill the gap instead of using soil. In this way, you can relocate the pot wherever you want easily. If you are concerned about chemicals, don’t use it in pots filled with vegetables or fruit. Obsolete expanded polystyrene can help you release your creativity and make some unique pieces of artwork. Many artists have used this material to make models or sculptures. In addition, you can use this material to support existing artwork. For instance, the flat parts are often used as poster boards to mount photos and pictures directly on walls. Those interested in wall art can use deep pieces of this special foam. Find a smooth piece of this foam and use fabric that can quickly dry to cover it. The best idea is to use old swimwear or thin cotton. Once you cover it, you can enjoy your time spent on your brand new floating pillow. Use smaller pieces of expanded polystyrene and some fabric to create unique bath toys for your children. Finally, you can use expanded polystyrene for insulation. This material contains air blocked between separate beads which make it an excellent insulator. 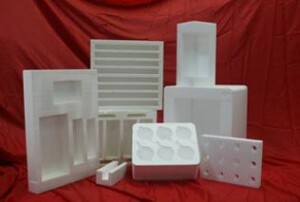 These are just some of the reuses of expanded polystyrene. Want to know more about how expanded polystyrene is used in the packaging industry? Please contact us now.